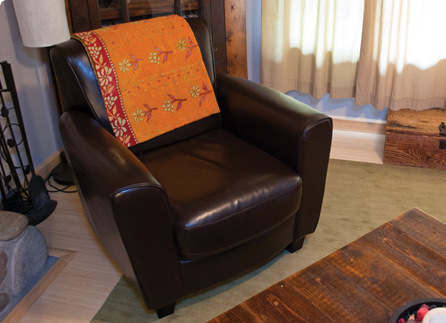 Each of these one-of-a-kind throws is hand-sewn by the poor and marginalized of Calcutta, India. 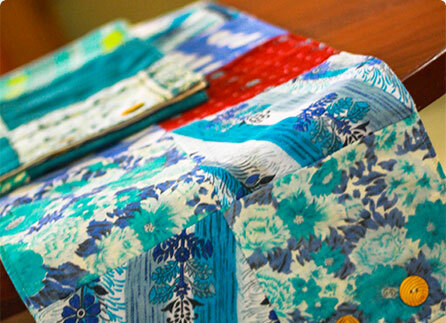 The multiple, quilted layers of reclaimed sari material make them thicker and warmer. Our Fair trade Scarves come in multiple sizes! 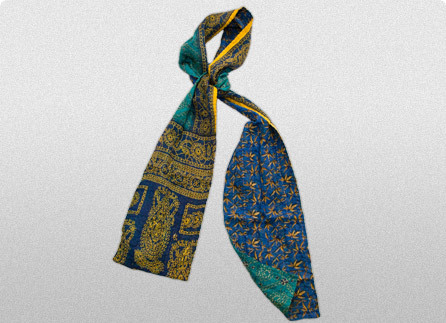 Like our sari throws and sari bags, each one-of-a-kind scarf is hand-sewn from reclaimed sari material. This beautiful, fair trade bedspread is handmade in Bangladesh. 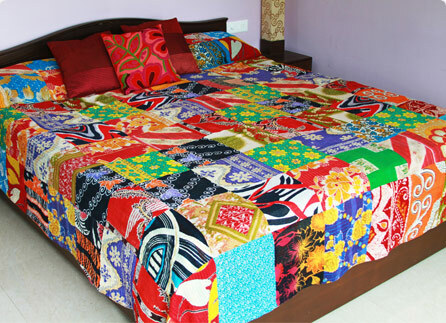 Each of these one-of-a-kind bedspreads is made of patchwork sari material. Sari Table Runners are made of reclaimed sari material arranged in a beautiful patchwork arrangement. The mission of Asha Imports is to be a voice for people who have no voice. Our focus in business is to bring hope to the poor and oppressed people of our world. In fact, the Hindi word "Asha" means hope. All of our items are fair-trade and environmentally sustainable. We distribute products made by people who have been given a chance to rise above their circumstances and take back their humanity. Please join with us in bringing hope to the poor!